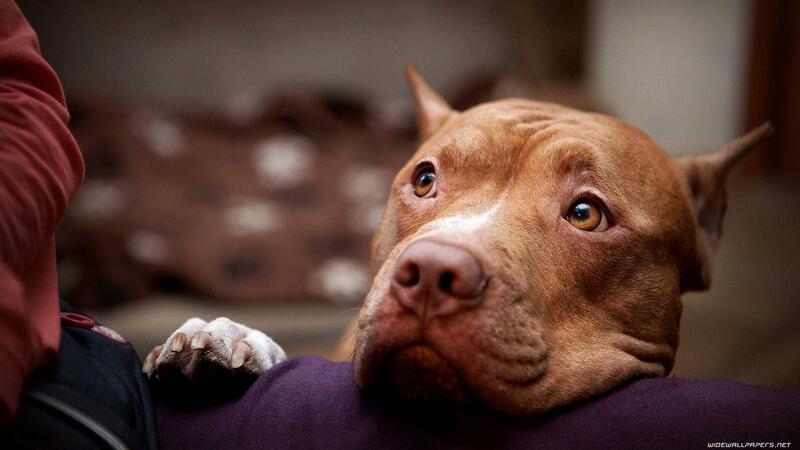 Many of my friends and family would turn their heads as soon as they see a Pit Bull. I personally go up to the owner and praise them about how adorable their Pit is. Many Pit owners do not have people or other dogs go near them. It's really sad because a Pit Bull is such a beautiful breed. They were bred to be a family pet. I also try to explain to people how there are multiple breeds related to a Pit Bill. I told my mom a French Bulldog was related to a Pit Bull and she was automatically in shock. A French Bulldog is in the Bully family. How come people are willing to go pet a French and not a Pit Bull? See what most of these breeds in common have? "Bull"
It does not mean in anyway the dog is a Bully. It is completely how the dog is raised and the environment it is living in. The media is a big problem with giving a bad rep to Pit Bulls. I believe they are one of the sweetest dog breeds out there. Please do not bully a breed! If you aren't to bully someone, bully the ones who don't treat their animals right.